But one thing I definitely am? I had legit reservations about Glossier Play, but I told you I’d check back once I actually checked it out. Well, I’m here to do just that. I purchased The Playground, a set of each Glossier Play product in the color of your choice. It retails for $60 so with my Glossier rep credit, I paid $30 for the set. With Glossier Play comes a new logo and new packaging. Inside the white boxes are colorful foil packets. The foil doesn’t appear to serve any purpose, other than doubling as a crinkly cat toy. This is essentially a glitter gel with 2 different size cosmetic glitter particles. The color Bijoux Bijoux is better than I expected as it’s more of a pewter than the gunmetal it describes. It appears to be gold micro glitter with larger silver particles. I love the duo-glitter texture and the neutral metallic tone. Texture wise, I found this easy to work with and build. It layers nicely and doesn’t become flaky or thick. The wear time is extremely impressive, almost unparalleled. I didn’t notice a single stray glitter speck on my cheek and I even took a nap in it, went to Target afterwards and got compliments from the checkout girl! Described as a technogel eye pencil, they apply smoothly without tugging, skipping or dragging and they smudge out easily and beautifully. I chose Disaster Class, a deep wine shade that looks really great on green eyes. I enjoy wearing it as a liner and a cream shadow too. The wear time is also great. I don’t know that it’s necessarily waterproof but I didn’t have smudging issues. I look forward to trying other colors and I hope they make more vivid neons. 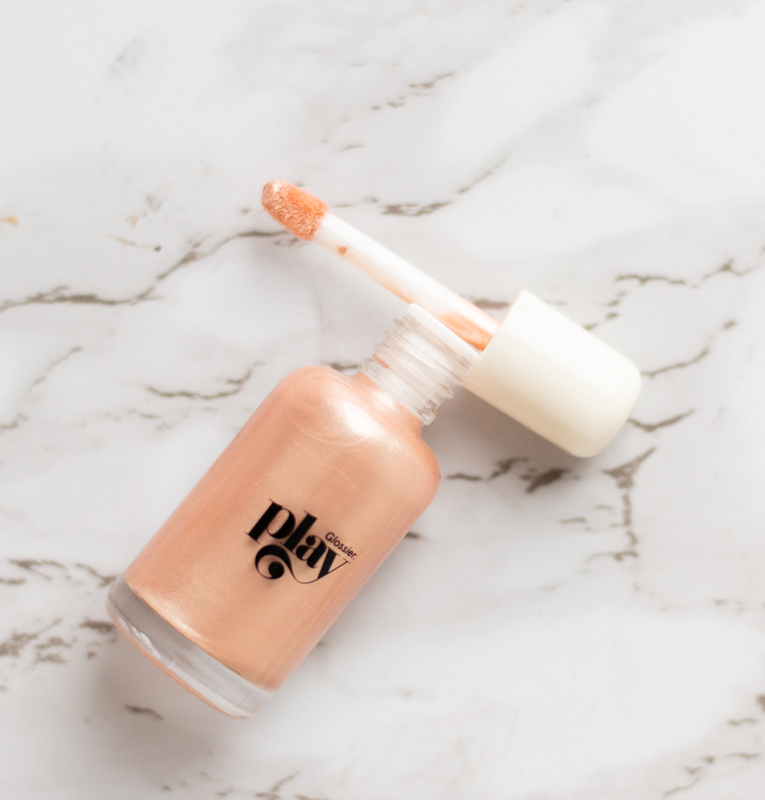 The Niteshine highlighter concentrate is a liquid luminizer that adds a subtle but definitely noticeable glow. I’m not a daily highlighter-wearer, but I will add it for a night time scenario or when I have a little extra time to get fancy. Texture wise, I found Niteshine layered super great over Glossier’s Stretch Concealer. I dotted it on with the doe foot and tapped to blend with my fingertips. When applied over drier concealers and foundations, you’ll want to blend right away and use your fingers. I didnt’ find a beautyblender did as good of a job and it didn’t emulsify as nicely as it did with my fingertips. For my fair, strong yellow undertone, I wasn’t sure Pale Pearl would work but it truly is a pearl shade, not overly pink. I like this and would continue wearing it but may need to overhyrate under more long wearing complexion products so that it’s still movable and blendable on the skin. I love a glossy lip so was hoping this was as described, a high shine lip color. While Vinylic Lip wasn’t nearly as shiny as I had hoped, the color Pony was right on the money and then some. I could best describe it as a mid-tone mauve with a slight brown undertone. These are all qualities I’m into. The formula feels really nice on, almost like a hydrating lip balm. The scent is the only thing I don’t like as it’s fruity and that’s just not something I prefer. Given the click pen applicator, I wonder how much product is inside as I feel I’ll go through this quickly, especially since I enjoyed reapplying it. It’s fun! 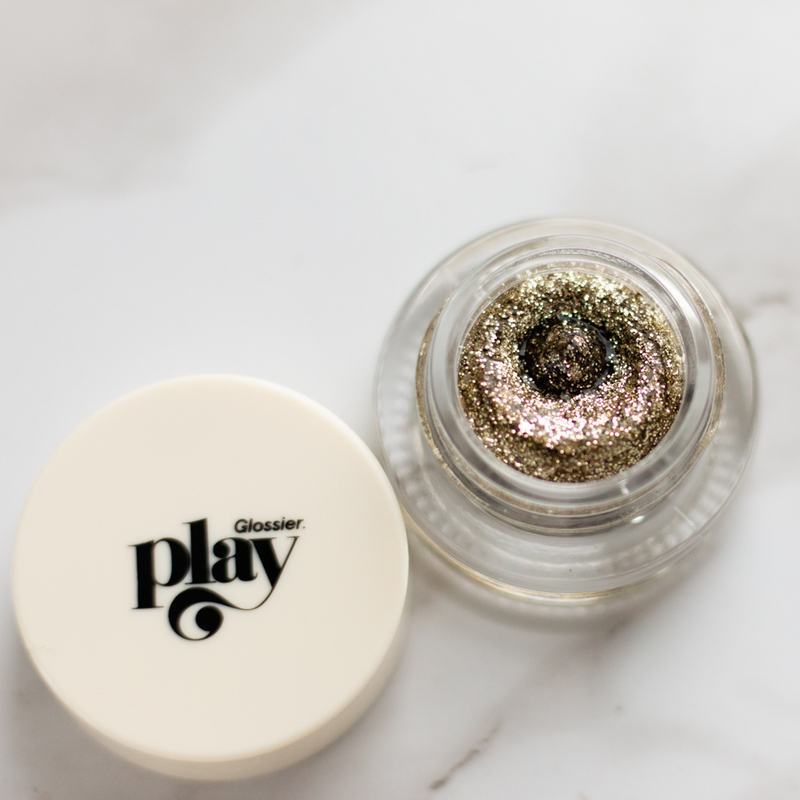 The Detailer is Glossier Play’s unique silicone applicator for their Glitter Gelees. 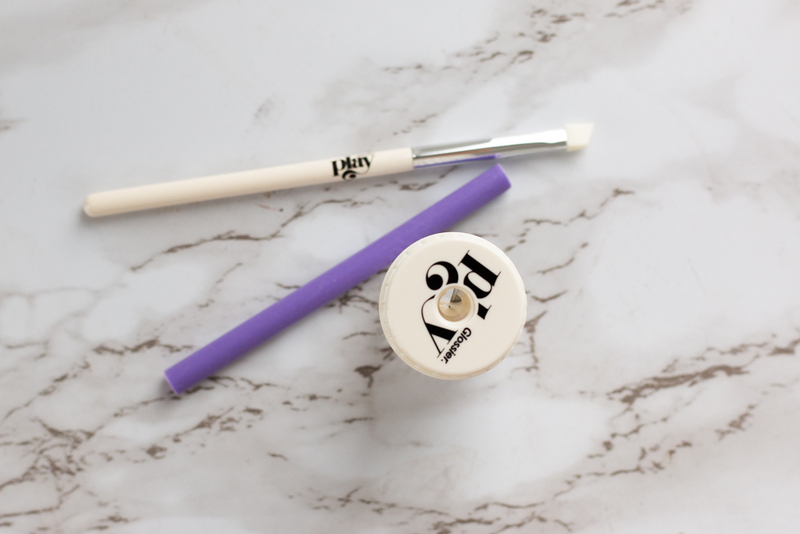 It’s not as thin as an angled liner brush as it has more of a wedge-like shape. The Detailer made applying the Glitter Gelees very easy, quick and precise. I prefer using this to my fingers. I’d like to experiment and use this to apply a gel or liquid liner as well. The Blade is a German-engineered pencil sharpener with an included sharpening and cleaning tool. That’s the little purple thing. Despite the intimidating name, The Blade looks like a cheery little transparent trash can and will be easy to find in my freelance kit. Considering my initial reservations, I’m just as surprised as you are when I say that I honestly recommend every single product. I expected the Glossier Play products to be problematic, low quality or frustrating to use and they just weren’t at all. I found them easy to use, flattering and most of all fun. I look forward to using these products again and again and that’s always a sure sign that something is a winner. If you want to try anything, using my link will save you 10% off on your first order. If you’ve shopped Glossier before, using my link still supports my blog but totally up to you. I’d love it if you also watched my first impressions and demo video below because filming is hard work.